Pest control St Kilda is probably not what you normally think of when Summer hits because in St Kilda Summer is a great time of year. While the other parts of South Australia are sweltering in 40 degree heat, we usually have perfect to mild conditions created by sea breezes. Being so near the water, flies, mosquitoes, and other nasties are probably more concerning, and your local St Kilda Jim’s Termite & Pest Control can help you get relief. In St Kilda, we are on the coast and the rainfall we have every year fills our lakes and ponds, which helps to keep the area cooler. Those same lakes and ponds are also great spots to stop for a swim with the family, or exploring the St Kilda Playground. If you go to the mangroves and explore the mud flats you can have a lot of fun catching crabs and fishing. However as it is summer time you will notice the large increase in the amount of mosquitoes and flies you will see. One or two flies might not bother you too much but when you have a hundred or so on you back it can get really annoying, especially when you walk inside as you tend to take them with you. You can quite often just use an aerosol fly spray form a local supermarket which will tend to take care of a handful of flies and mozzies however there will always be one or two that you manage to miss. At night you will tend to notice flies and mosquitoes when you are trying to sleep on a hot night and you hear the dreaded buzzing noise. This is where your local St Kilda Jim’s Termite & Pest Control technician can help as they are very skilled at putting up some safe chemical barriers to help control these pests. We have a long list of clients at Jim’s Termite & Pest Control who get their homes and offices sprayed in spring to early summer to help keep these flies, mosquitoes and other pests at bay for the whole year. If you’re camping outdoors, especially near one or our wonderful water ways or water sources like the Port River then take some precautions around dust and dawn when the mosquitoes are most active. What can I do to prevent being bitten? Things that you can do to help prevent getting bitten by pests are: give yourself and children a spray with an insect repellent around dust and dawn, as the more you can do to prevent yourself from getting bitten the better. Check your fly screens and insect mesh on your tents, caravans and windows to ensure there are no holes, cuts or tears as this is where pest will get through. Some of the Jim’s Termite & Pest Control clients also like to get their caravans and onsite vans sprayed once a year to ensure that if a mozzie or fly gets in, that they will land on a treated ceiling and soon succumb to the treated surfaces. Hotels and Motels in Adelaide are also becoming more aware of this and are now getting their rooms treated by a local Jim’s Termite & Pest Control technician to ensure their guests have a pleasant stay. The last thing these businesses want is for the tourists that visit the local area to get eaten by mosquitoes and flies while they are exploring the St Kilda and the surrounding eco systems. We at Jim’s Termite & Pest Control know how important it is to our community that these tourists have the best time and then tell their friends and family how good it was visiting the area. 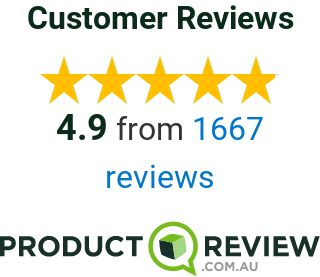 So if you are having issues with flies, mosquitoes, and other pests around your home or work, simply give our friendly staff a call on 13 15 46, or click on the link to arrange an obligation free quote.